A weekly newspaper has been relaunched with a “stylish new look” which aims to make it easier to read. 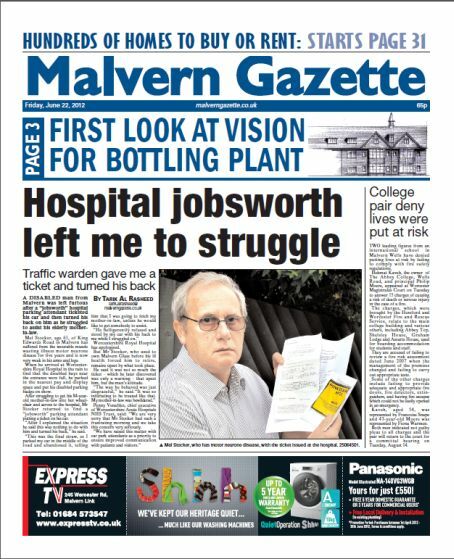 The Malvern Gazette and Ledbury Reporter has been redesigned to improve it for readers following a revamp of its sister title the Evesham Journal in April. Under the redesign, the paper has new typefaces, clearer signposting and a modular layout that makes better use of pictures. It also has an expanded page of readers’ letters and an editorial leader column for the first time in many years, where the newspaper will champion the community and hold the authorities to account. John Wilson, deputy group editor for Newsquest South Midlands, was responsible for the redesign. The paper is published in two editions – the Malvern Gazette and the Ledbury Reporter, both of which bear the new look. Love the main picture on the revised front. Hope they can keep up having striking images. It’s a smart front page, very clean and easy to navigate. Would have liked them to be bolder and go for more contemporary type. But the first thing I noticed? The vertical line dividing the puff box is slightly out from the vertical line dividing the splash and the picture story. JP have truly barmy idea in their about £300,000 re-design. Every page lead MUST have a picture. Imagine this on a small weekly with limited range of stories and not enough staff. Obviously didnt consult shop floor about this, as usual. You saying it’s not viable to have a picture for every page lead? Surely that’s the basics. Perfectly manageable.